Iolani Palace is a Hawaiian national treasure and a powerful symbol of Hawaii's history and culture. It's visited by thousands of residents, tourists, kupuna, and keiki every year. For many, a guided tour is their first exposure to Hawaiian history not taught on the mainland or abroad, and to important aspects of Hawaiian heritage. 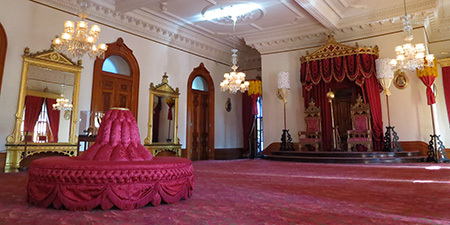 For decades, The Friends of Iolani Palace has provided sustained action, guidance, and support to restore, preserve, and protect this treasure. You too can help carry forward one of the most important legacies of the Hawaiian monarchy and perpetuate a distinctive part of Hawaiian heritage for the benefit of future generations. Your support is dearly needed and deeply appreciated. Membership and contributions are vital to support the important ongoing work of preservation, conservation and education at Iolani Palace. 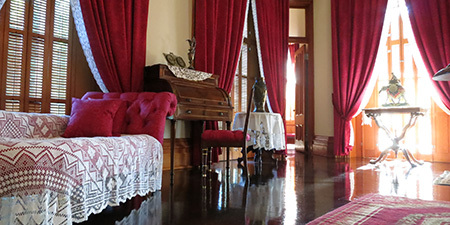 Help sustain this important legacy by becoming a member of The Friends of Iolani Palace.